The Foreign Ministry launched a new campaign aimed at bringing attention to 856,000 Jewish refugees who were expelled from Arab countries. The Israeli Foreign Ministry, in conjunction with the World Jewish Congress and the Pensioners Affairs Ministry, has launched a new campaign aimed at bringing attention to the thousands of Jewish refugees who were expelled from Arab countries following the establishment of the State of Israel. While the international community continues to bemoan the Arab refugees, casting Israel as the eternal oppressor and source of all evils, the 856,000 Jewish refugees remains largely forgotten and left untold. 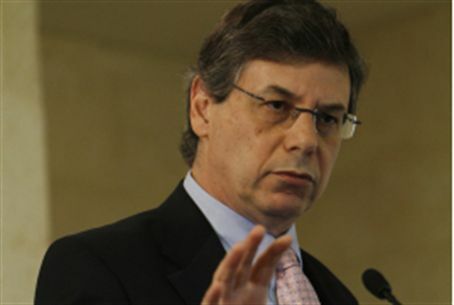 The campaign, titled “I am a refugee” and spearheaded by Deputy Foreign Minister Danny Ayalon, seeks to refocus the debate by bringing to light the truth behind the many myths and fabrications that have come to dominate the Arab-Israeli conflict. “In May 1948, the local Arab population was joined by seven Arab countries in a collective attempt to destroy the newly re-established Jewish state,” says Ayalon, whose father is a refugee from Algeria, in the campaign’s YouTube video. Encouraged by Arab leaders, an estimated 500,000 Arabs fled to neighboring Arab countries. While the Jewish refugees, who were forced to flee their countries of origin after having their citizenship revoked and their property confiscated, were immediately absorbed and integrated by Israel and other countries, the Arab nations refused to help resettle their Arab brethren. In fact, as Ayalon explains in the video, the Arab countries enacted a number of discriminatory laws against them in an effort to perpetuate their refugee status. The Foreign Ministry is therefore calling on Arab Jews and their families to post video testimonials on the campaign’s Facebook page, telling their stories in an effort to “help right the wrong” and restore the truth to the highly publicized and politicized refugee debate, which has, until now, been overshadowed and tainted by countless myths, exaggerations and fabrications.